A pair of former Jr. welterweight titlists, both really needing a win as they pursue glory at welterweight; both at different moments in their careers providing different levels of desperation. It’s fun to say fights are can’t lose but this is one where the implications of defeat could be heavy. Lamont Peterson will be 35 later this year. A loss here, following a year out of the ring after a failed challenge of IBF welterweight titlist Errol Spence, could reduce him to gatekeeper status if he continued. Lipinets gave a good account but lost to Mikey Garcia last year at Jr. welterweight. 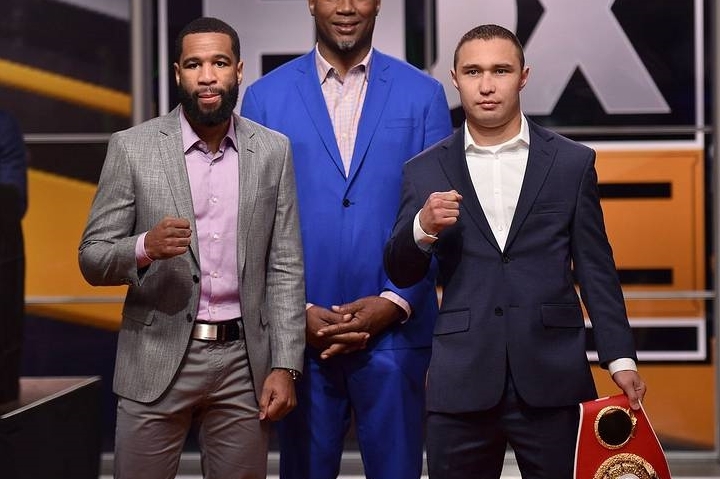 Welterweight proper is loaded, particularly in the PBC corner of the division. While only 29, another loss would serve only to move him farther from future opportunities. The Pick: Skipping straight to the pick, this could be a very entertaining fight. A lot of Peterson fightsare and it’s truer when the styles play to Peterson’s trends. Peterson has always seemed to be most vulnerable early in fights, the sort of guy who gets better as the rounds go by. It’s not always true. Sometimes, as was the case with Spence, the other guy is just better. Will the same prove true for Lipinets? Peterson is naturally taller and longer, still throws hard and quickly to the body based on the last time we saw him, and has much more professional experience. Lipinets may have the faster feet and is able to get in with the jab, lead hook, or a lead over hand right. The biggest question here might be how much Peterson has left, or at least how much he still wants it. Fighting in front of the locals near Washington, DC, let’s assume the pride of home court still matters. Peterson hasn’t looked shot yet and, at his age, the time off might well serve to refresh his legs. The pick is Peterson to have a stronger second half and win a nail biter on Sunday night.